Networking: the introvert's guide to getting extroverts' results. This is a guest post by Beth Campbell Duke. If you’d also like to guest post here on JobMob, follow these guest post guidelines. In today's ‘world of work', there are a few truths that can leave those of us who tend to fall towards the ‘introvert' end of things with growing levels of networking anxiety. The Hidden Job Market is made up of an estimated 60-85% of jobs that are never posted. This means that instead of quietly combing job boards, it's imperative that you learn how to expand your personal and professional networks. And that's where the trouble starts! Because the introverts among us start to feel a growing level of anxiety at the thought of formal networking events. They're full of people talking and promoting themselves – and while it might be an extrovert's idea of fun, an event like this doesn't just provoke anxiety during the event – but many introverts will tell you it can take a day or two to recover from the feelings of overwhelm. Let's take a BIG step back and re-think this whole networking phenomenon and focus on some of the strengths of introverts that can help us improve our networking outcomes. We love to be prepared. We're generally great at project-based activities. When groups are involved, the right project allows us to contribute but also do our own work quietly. We tend to prefer fewer, more meaningful, connections with people. Get clear on your strengths and values and work them into your resume and social media profiles. If you need help with this, find a career tutor or counselor who can help you identify your strengths and values and then translate them into effective personal marketing materials. There's nothing more empowering than coming to realize that you do have strengths and accomplishments to contribute to an employer or clients. I helped one young introvert who had spent a number of years undervaluing his strengths – who cold-called a computer company in response to a posting and told them the posted job wasn't for him – but he described the skills he did have and was hired by the end of the day. I wasn't sure which bit to be most excited about, that he'd found a great job or that he'd picked up the phone and made a cold-call. Choose to participate in events that allow you to showcase your skills while you meet new people. 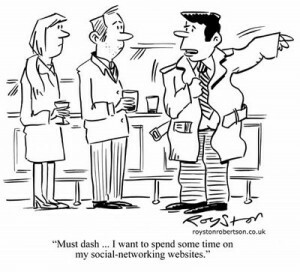 Don't think that networking is limited to speed-networking or other formal networking events. By all means, attend these if you want to, and choose one or a few people to speak with, but don't limit yourself to this one type of event. Find a project-based event or local group to participate in – many have Facebook pages that not only update you as to meetings and get-togethers, but you can check them out online before going to a meeting. For example, I recently attended a StartUp Weekend. The youngest and quietest member of my group secured himself work for the summer by doing what he does best – coding. The event was full of tech recruiters looking for talent. Discover informational interviews and commit to incorporating this technique into your networking. This isn't just a great tool for introverts, it's one of the best job search tools in an economy where 80% of jobs aren't posted. In an informational interview, you decide who you'd like to speak with and what questions to ask them. You're not discussing a job opening, you're learning something from a potential employer or mentor. It's a bonus that when an opening comes up in their company you could well be the person they phone instead of posting the job. Have you taken some time to take stock of your strengths and accomplishments? Are they reflected online and in your resume? What kinds of groups and organizations are you participating in? Do people there know when you're looking for work? Have you done informational interviews – but perhaps didn't call it that? Let us know how you go about developing your professional network in the comments! Beth Campbell Duke is the Career Tutor at the Personal Brand Academy. She helps students and recent grads to make the most of school, find a great first job and build life/work success. If you're a student, recent grad, parent or educator you can read the blog and learn more about her online courses and coaching at PersonalBrand.Academy. If you want Beth Campbell Duke to win, share this article with your friends. Subscribe to JobMob via RSS or email and follow Jacob Share on Twitter for more job search networking tips.